The Metropolitan Museum of Art’s Costume Institute is hosting a fall exhibition for the first time in seven years, and it will be a decidedly somber affair. 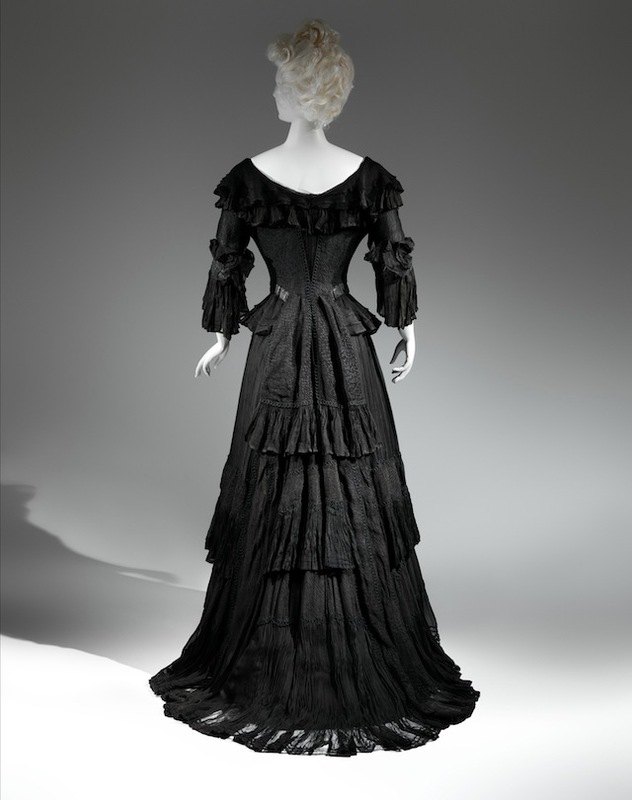 Announced today, the show focuses on Victorian and Edwardian mourning fashions. 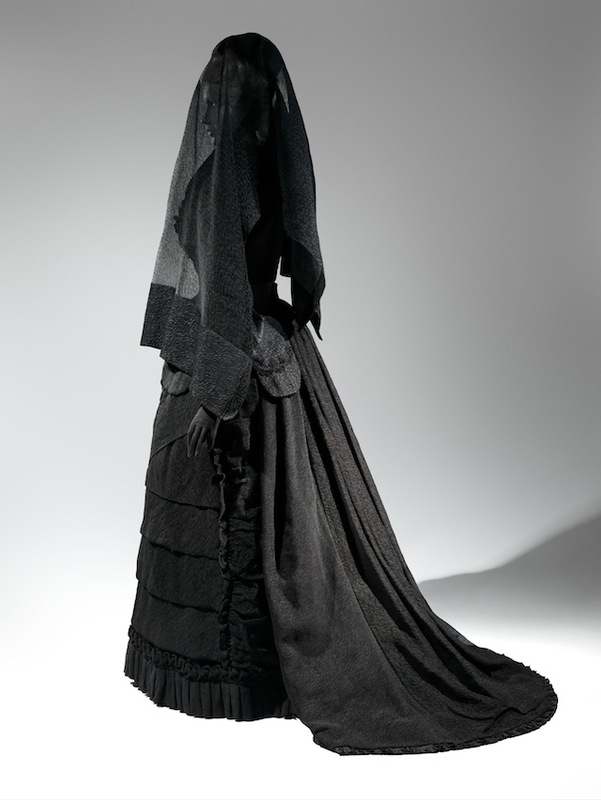 Death Becomes Her: A Century of Mourning Attire will mostly use examples from the Met’s own collections to show the dark dress of the 19th and early 20th centuries, and its influence on high fashion. The Victorians treated mourning wear with an unbridled obsession that hasn’t been rivaled in fashion either before or since. 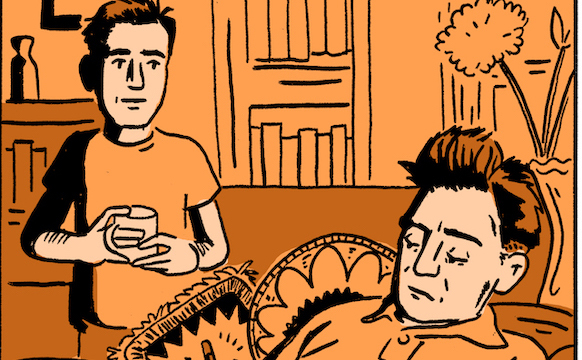 For women, the death of a husband could dictate two years of colorless garb; the loss of a child, a year; brothers, sisters, and grandparents, several months; extended family, weeks; and even cousins required some period of deathly decorum. In a time of high mortality, this meant that the ladies of the era could go much of their adult lives without seeing a stitch of vibrant hue. Children and men also dressed for mourning, but for shorter periods of time and without quite the same restrictive pomp. Women of the time were obliged by society to wear these extremely isolating fashions partly because of Queen Victoria, who at the death of Albert stepped out of public view and remained in mourning for four decades. 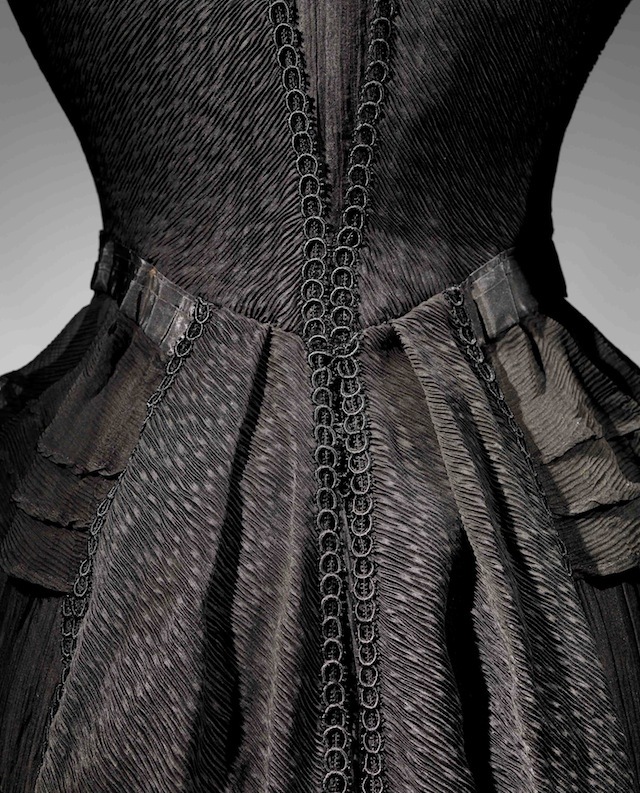 And it wasn’t just black clothing — a whole industry formed around black crape, the main material used in the “widow’s weeds” and a stark, stiff silk fabric. Jet stones were incorporated into jewelry that glimmered as the only bits of light on heavy dresses. Veils draped faces in their own shrouds. 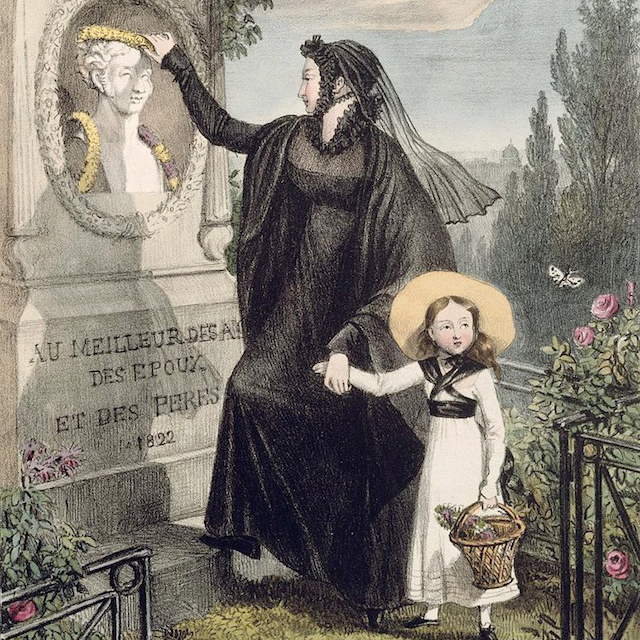 It all played into the Victorians’ belief that a “good death” was a beautiful one, but also one in which the actual corpses were kept distant from the bereaved, buried in rural cemeteries, visited on Sundays in black costumes. Mourning fashion also kept potentially independent women in their own temporary tombs. While it will be intriguing to see what the Met’s Costume Institute does with this theme in the galleries of its newly reopened Anna Wintour Costume Center, it’s a shame that the show’s roughly 30 ensembles will mainly center on high fashion. An important aspect of this era was that even the poorest of women were expected to go into mourning, often spending what little savings they had in their widowhood on the proper accoutrements. Some dyed their few dresses black, only to re-color them after mourning had ended. Death Becomes Her is the Costume Institute’s first fall exhibition since 2003, and will open on October 21 — just in time for Halloween, the day on which we now get the closest to plunging into dressing for death. 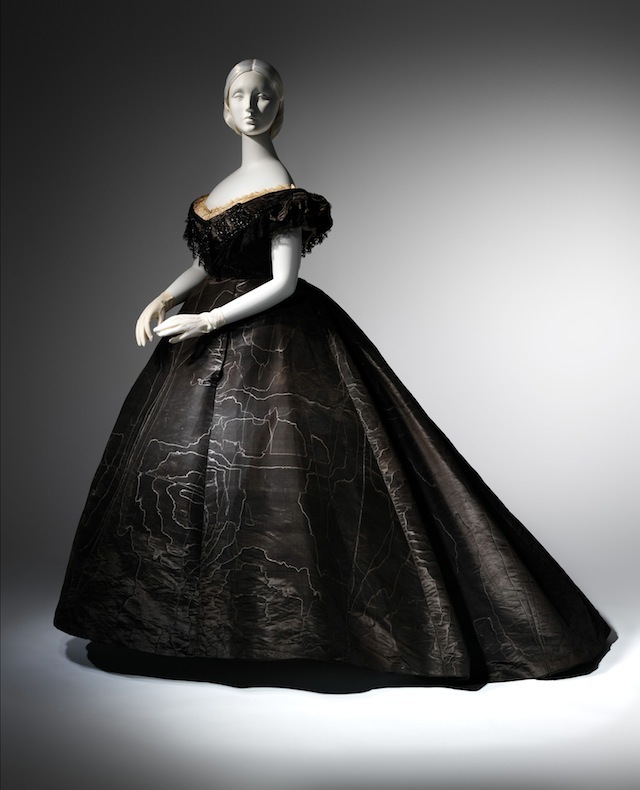 Death Becomes Her: A Century of Mourning Attire will be at the Metropolitan Museum of Art’s Anna Wintour Costume Center (1000 5th Avenue, Upper East Side, Manhattan) from October 21, 2014, to February 1, 2015.